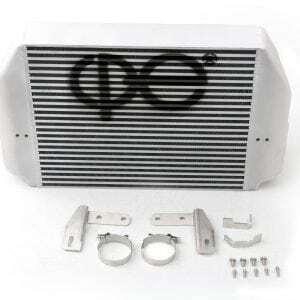 Top mount intercoolers have become one of the most popular bolt-ons for the MZR DISIengines. 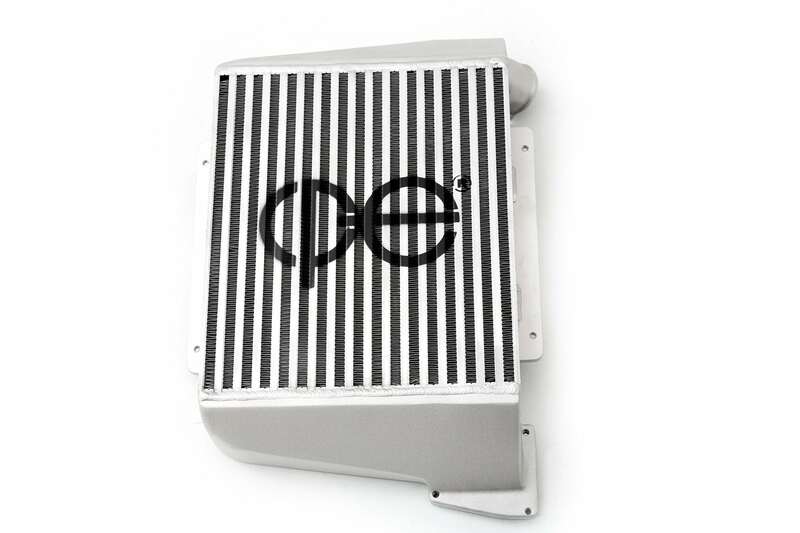 cp-e™ set out to design the best. Earn up to 21 BoostBucks. 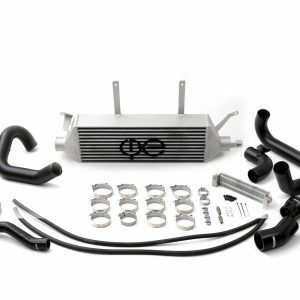 Top mount intercoolers have become one of the most popular bolt-ons for the MZR DISIengines. 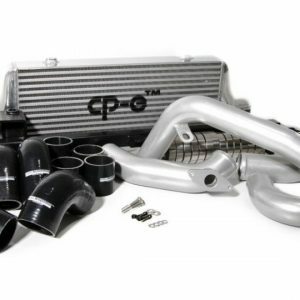 cp-e™ set out to design the best and most efficient Mazdaspeed TMIC. The biggest restriction of the stock Mazdaspeed TMIC is the outlet. Knowing this, cp-e™ alleviated these restrictions through a casting design with a smooth flowing unshrouded outlet. Both endtanks are completely cast to help flow in and out of the core while providing consistency. 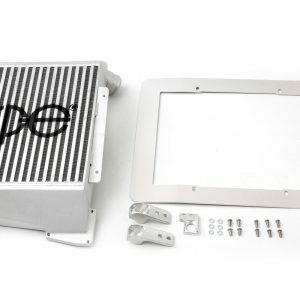 The core of the cp-e™ Mazdaspeed TMIC is made of bar and plate for its pressure efficiency and its cooling capabilities. 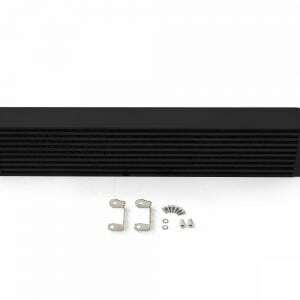 The 3.25” thick core alleviates pressure drop while not interfering with the hood or surrounding components. 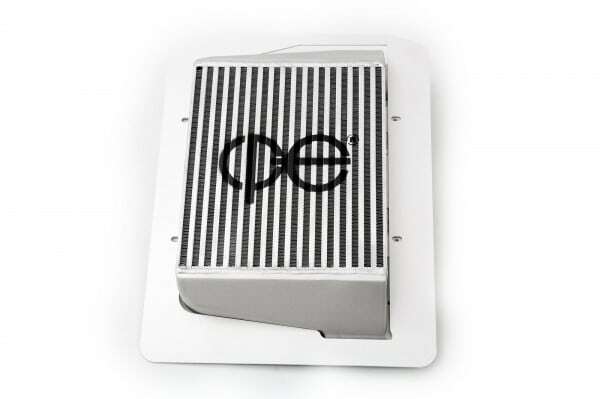 cp-e™ determined the maximum fin density to create the largest temperature drop across the core. We have even capped every bolt hole location to prevent leaks that would normally go undetected by the consumer. The cp-e™ TMIC comes with 6061 billet CNC brackets machined to perfection on our 4 axis CNC machine. All of these features add up to the best Mazdaspeed TMIC. 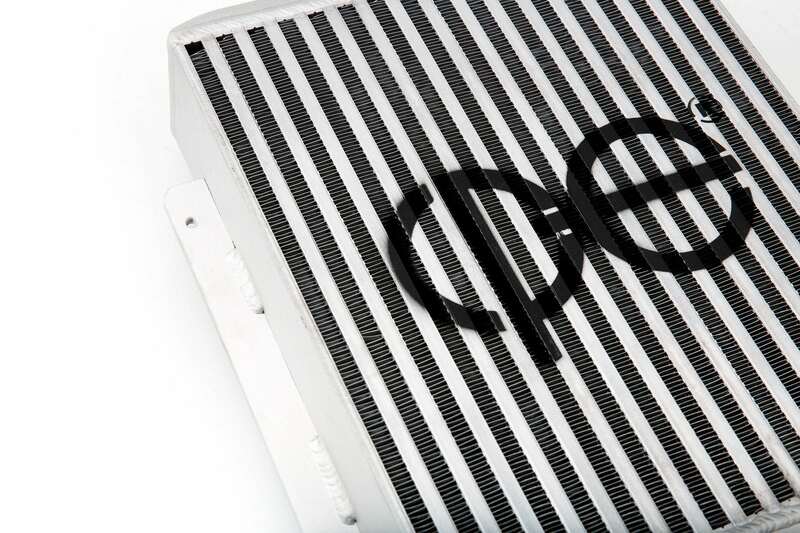 In order to create the most efficient and highly consistent intercooler, we use a bar and plate design. 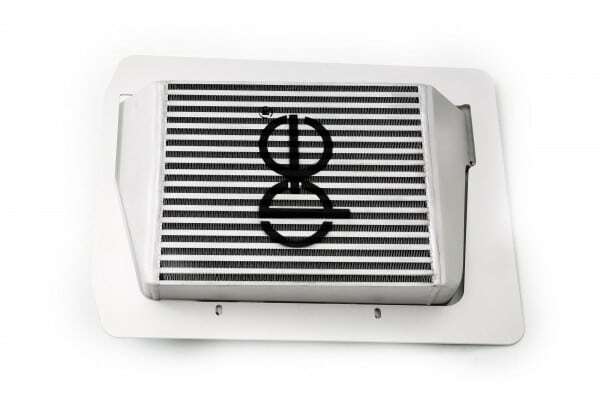 This allows for a larger core that can combat heat soak and dissipate heat better than a tube and fin design. The intercooler features a perfect seal between the ambient and charge sides thanks to bars running the entire length of the intercooler. 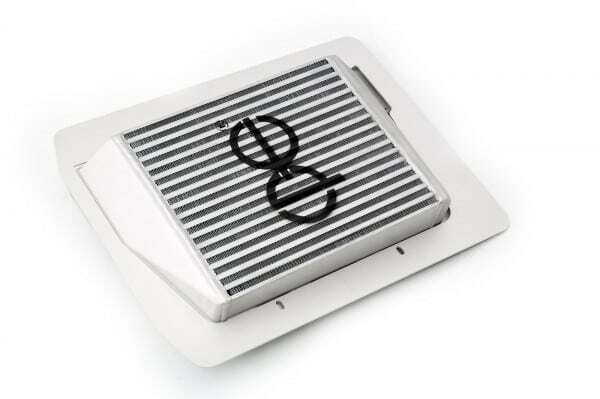 This highly concentrated design is exactly what you need to put an end to heat soak. 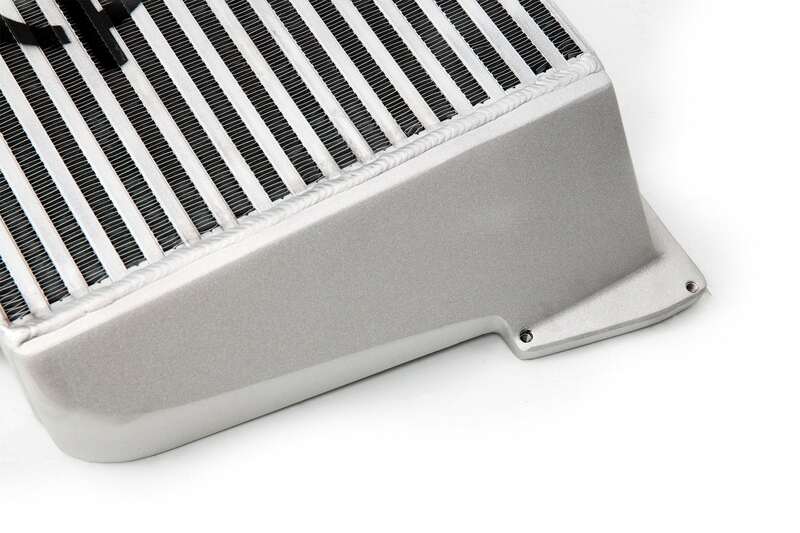 To ensure a perfect OEM-like fitment, we’ve laser cut all of our brackets. 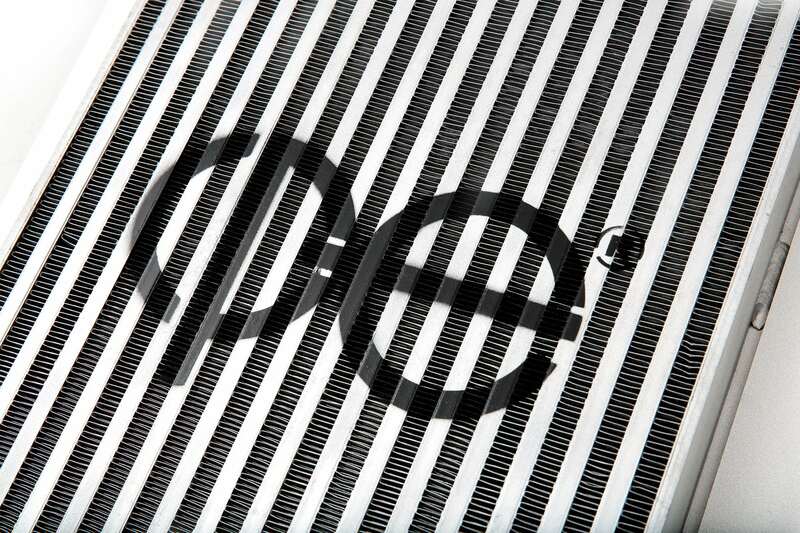 This crucial step removes human error from the equation and guarantees that every intercooler is delivered exactly as it was designed in our CAD software. Welds can look nice, but every weld is a potential area for failure. 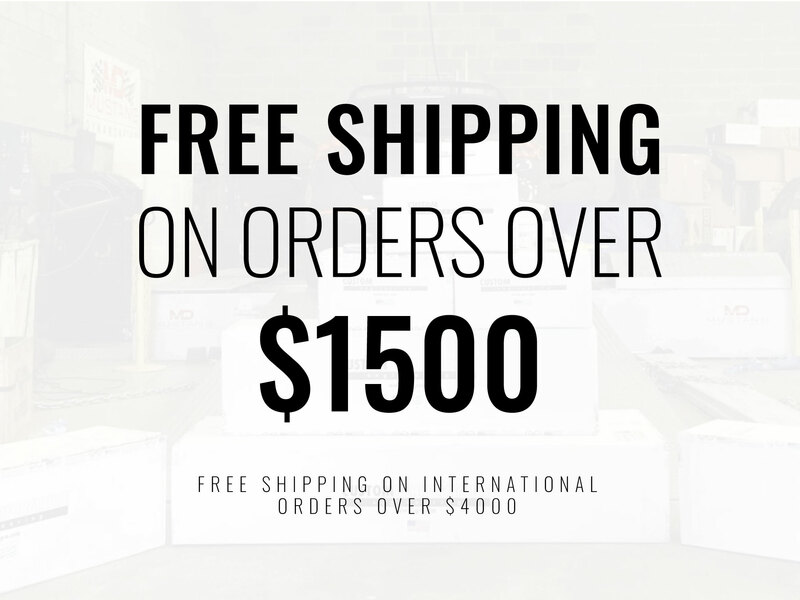 To minimize welds and increase the reliability and structure of our intercoolers, we cast all of our end tanks. 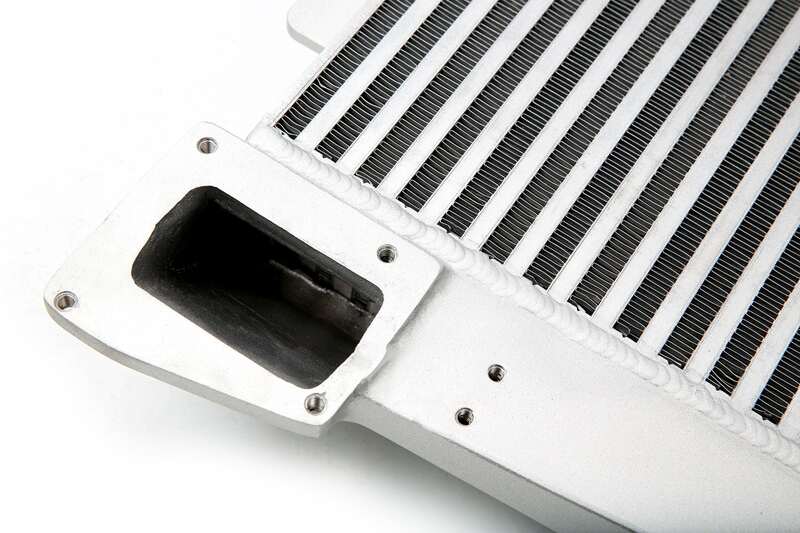 In addition to adding durability, this step allows us to bench test and perfect the flow of air and air distribution across the intercooler core. Intake temperatures are down, faster return to ambient, boost pressures are up. Relatively easy install, just have to make small adjustments a few times on the mounts before actually setting in.